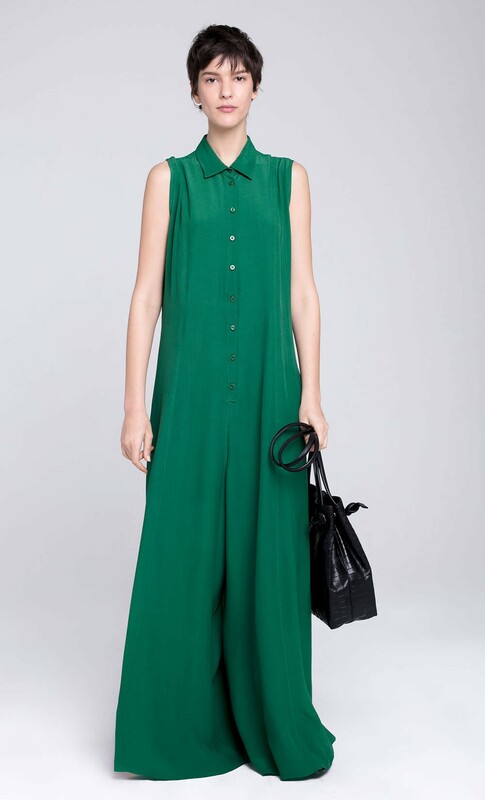 You can always count on DORIN FRANKFURT for the ultimate summer staples and this jumpsuit is a case in point. Crafted from lightweight crepe, with wide legs to balance the close-fitting proportions of the bodice, it is finished with a pointed collar. Pair yours with the brand’s vibrant heels for a timeless look.